The News kicks off with what’s going on with Nicky Hayden’s final race bike, and I’m quite pleased to let you know the article comes from Bike-Urious, the website run by Abhi Eswarappa, our guest on Episode 43. Speaking of racing, the American Flat Track season kicked off during Daytona Bike Week; I won’t tell you who won the races (no spoilers! ), but I will tell you that our guest from Episode 41, Jesse Janisch, had the fastest lap time in all three Singles practice sessions on Wednesday. While the news of Norton’s demise was apparently premature, one news bit about demise wasn’t. The entire MotoE paddock burned to the ground in Jerez, Spain, destroying all 18 Energica Ego Corsa electric racing bikes and all the riders’ kit to boot. Nobody was injured, thank goodness, but it’s a heck of a blow to the circuit. Because it’s 2019, you know somebody whipped out their cell phone and, neglecting or forgetting the common courtesy of TURNING THE DAMN THING SIDEWAYS, got this video of the fire. Another bit of electric bike news is that Erik Buell is back with a new (electric) motorcycle company called Fuell. I know it’s a goofy name, but I don’t see what choice they had! I think we all hope Buell’s new venture is a success. Episode 47 (on 1 April) really will have motel aficionado Andrew Beattie. Promise! 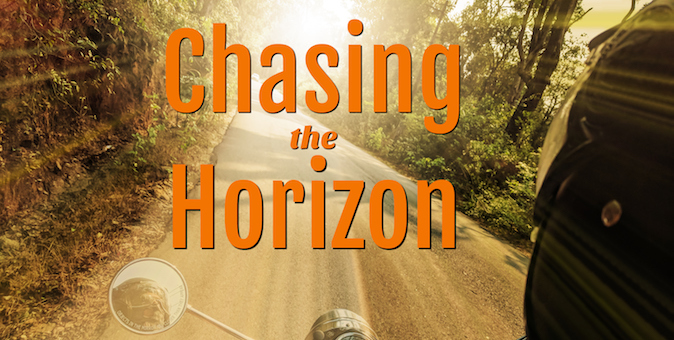 Chasing the Horizon is sponsored by Dunlop Motorcycle Tires. 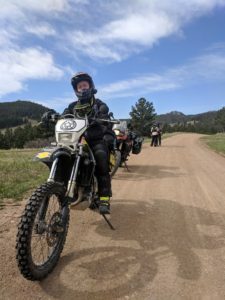 Please visit our sponsors on the web – the BMW MOA and Dunlop Motorcycle Tires. Also check out Chasing the Horizon on Facebook | Twitter | Instagram. That’s it this time around – see you out there on the road somewhere … or off it! Ride safe.